Contracts are not terminated, if desired space is unavailable. CONTRACT TERMS: This legal contract and agreement is entered into between Harris-Stowe State University and the undersigned student. This contract is not transferable or assignable by the undersigned student. A new contract shall be signed in each academic year for the Fall and Spring semesters. Separate application must be made for the Summer session. The University agrees, under the terms of this contract, to provide a space in one of the rooms in the residence hall. The student agrees to pay the room/board in accordance with the schedule of fees, which has been published for the current year. The University reserves the right to increase rates for room, food service, and other service options at anytime(s) during the term of this contract upon giving 45 days written notice to the student. Residents are prohibited from being in the residence hall during Thanksgiving, Winter, and Spring vacations, as designated by the University. However, at the University’s sole discretion, residents may be granted an interim contract for housing during such breaks. Residents may be asked to change rooms and be temporarily housed in another room during such breaks. The University reserves the right to deny a student housing during Thanksgiving, Winter, and Spring vacations. 1. The student shall be responsible for payment of the full amount of the charges for the entire contractual period. Failure to occupy an assigned room or call the Office of Residential Life after the contract is in force does not constitute cancellation of this contract. A student who cancels his or her room reservation after the hall closes for Christmas break, but prior to the first day the hall opens for the Spring Semester, must remove all belongings either before or on the first day the residence hall opens for the semester. A forty dollar ($40.00 U.S.) fee will be assessed each day a room is occupied with nonresident student belongings. A student may not occupy the room if he/she cancels. 2. The student agrees to pay the one-time application fee. The application fee may be carried forward to a residence hall contractual lease agreement for the following Summer Session or academic school year. (The one-time security deposit may be used toward room damage charges at the end of the current academic school year; however the student will have to pay a security deposit prior to receiving a room assignment the following academic year.) The University reserves the right to forfeit the student’s application fee and apply to the balance owed to the institution. 3. Room Assignment. No room assignment will be made until verification of full-time enrollment, an application form, a signed contract, and the current security deposit are received by the Office of Residential Life. Reasonable consideration will be given the student’s preferences for accommodations, room, and roommate(s). However, the contract is for space in University housing and not for a particular accommodation, room, and/or roommate. The student’s failure to claim his/her room may result in reassignment of the student’s room or may relieve the University of its obligation to provide a room for the student in University housing. The student must claim his/her assigned room before 5:00 p.m. on the first day of classes for any given semester. The student claims his/her room by checking into the room in person or by notifying the Office of Residential Life that his/her arrival will be delayed. The student’s failure to claim her/her assigned room could result in reassignment or forfeiture of room assignment. 4. The University agrees to furnish each room with basic furniture, such as, but not necessarily, a desk, chair, bed, mattress, and drawer space. Students are responsible for keeping their rooms, furnishings, and fixtures clean and in good condition. The student agrees to submit a complete inventory form indicating the condition of the room, its fixtures, and furnishings to the Office of Residential Life within three (3) days after check-in. Failure to submit this form within the time specified shall constitute conclusive proof of acceptance by the student of the room and its fixtures and furnishings as being in good condition. Upon check-out, the student will pay for missing furniture and for the repair of any damages (beyond normal wear and tear) required to restore the room and/or furnishings to the condition noted on the inventory form. Unless it can be otherwise conclusively determined, all students assigned to a room will be responsible for an equal share of liability for furnishings in the common areas. 5. The University reserves the right to make room assignments. The University also reserves the right to remove any student whose behavior is judged to be detrimental to the quality of the living environment. A move because of disciplinary sanctions may occur until the last day of each semester. 6. The University agrees to provide the building with the basic utilities consisting of heat, cooling, hot and cold water, electricity, telephone services, cable television, and wireless internet access. Temporary interruption of such services shall not constitute grounds for cancellation of the contract or a partial refund of the room charges. 7. The current application fee will be refunded to the student for the following reasons:a. The University is unable to assign a room to a student due to lack of space.b. University nonacceptance; admittance to an academic program is not granted by the University during any term of the contractual agreement, provided the student notifies the Office of Residential Life, in writing, of their nonacceptance by the University within seven (7) days of the date their notice of non-acceptance was received.c. The University, in its sole discretion, determines to release the student from his or her obligations under the contract (described below). 9. The University reserves the right to cancel the contract if the University determines, in its sole discretion, that the continued residency of the student may pose a problem to the interest of order, health, discipline, environment, or general well-being of other members of the residence hall community. The University reserves the right to immediately remove a resident who, in the opinion of University staff, is a danger to herself/himself (due to psychological or medical reasons) until the situation is assessed and a determination can be made regarding continuation of the Housing Contract. The University also reserves the right to expel any resident for failure to observe residence hall policies. Upon such circumstances, the student is still liable for any charges due the University as set forth in his/her contractual agreement. 10. Withdrawal from a residence hall during the semester will result in no refund of the room portion of the residence fee. The board portion will be prorated, only if withdrawal occurs prior to the mid-semester date. 11. Any first-time freshman that withdraws completely from Harris-Stowe State University prior to midterms will only be charged for the dates that they resided on campus. Only first-time freshmen have this option available to them; this option will not be available to second semester freshmen. Residents sign an academic year contract. Any student that has resided on campus one semester or more has the option of buying out of their academic year housing contract. A loss of the refundable deposit and a $1000 contract termination fee will be assessed to those transferring schools, withdrawing from the University or choosing to leave on campus housing. The student will also have their charges prorated for the time he/she spent on campus. 12. The student agrees to abide by all of the laws and the housing and University rules as published in the Student Handbook and the Residence Hall Handbook, (which are incorporated herein by this reference) as they are now stated and as they may be duly adopted or revised and distributed by the University to students during the term of this contract. 13. The student living in the residence halls agrees to accept responsibility for living in an alcohol and drug free building. If a student drinks or possesses alcohol in the residence halls, the student will be fined and may be subject to additional disciplinary sanctions. 14. Smoking is prohibited on the entire HSSU campus, including both the indoor and outdoor premises. If a student smokes in the hall, the student will be fined and may be subject to additional disciplinary sanctions. 15. The student accepts responsibility for and is held liable for the conditions of accommodations assigned and shall reimburse the University for all damages done within or to said accommodations. The student accepts full responsibility for the conduct of his/her guests. 16. WITHDRAWAL/EVICTION NOTICE: Should a resident withdraw from the University for any reason or be evicted from the residence hall, the resident agrees to vacate the residence hall within 24 hours. Residents who have completed final exams at the end of a semester are required to vacate the residence hall within 24 hours or at the time the hall closes, whichever comes first, unless the proper arrangements are made. 17. COMMON AREA DAMAGE: At the end of the semester, each student will be assessed for unclaimed vandalism that occurs on his/her floor. The repair or replacement cost of the vandalism will be divided among each floor resident. If vandalism occurs in a common lounge area, all students residing in that hall will be assessed a portion of the repair or replacement cost. To avoid having to pay this cost at the end of the semester, students will need to take pride in the appearance of his/her floor and develop a watchful eye. Reports of vandalism should be made promptly to the Office of Residential Life. 18. The student agrees to follow the prescribed check-out procedure, before vacating the halls. The check-out procedures are:a. Making an appointment in advance with Residential Life staff, so as to be sure that a staff member will be present when the resident is ready to leave. This is the student’s responsibility.b. Clean the room as well as the common area and restroom. The student is responsible for leaving his/her room in a clean condition. Failure to do so will result in a cleaning charge being assessed.c. Turn in the room/entrance door keys, swipe card, and mailbox key.d. Have the room inspected by a Residential Life staff member.e. Sign the room condition form. Failure to complete this check-out procedure fully by the published time deadline will result in the imposing of late check-out fines. 19. The University reserves the right to designate a representative to enter a residence hall room for purposes including, but not limited to: maintenance; health and safety inspections; to ensure personal health, safety, and security of hall residents; or to enforce residence hall rules, when there is reasonable cause to believe that rules are being violated. An attempt will be made to notify the student, in advance, of all inspections except routine maintenance. Residents are advised that, as a routine procedure, student rooms are entered over vacation periods for maintenance, safety, and health inspection(s). 20. Items or personal belongings which are left in the residence hall after the end of the contractual period will be considered abandoned and may be removed or disposed of after 30 days. When items are removed, a charge may be assessed. 21. The University accepts no responsibility for loss or damage to resident’s property. Each student is assessed Renter’s Insurance each semester for the academic year. 22. 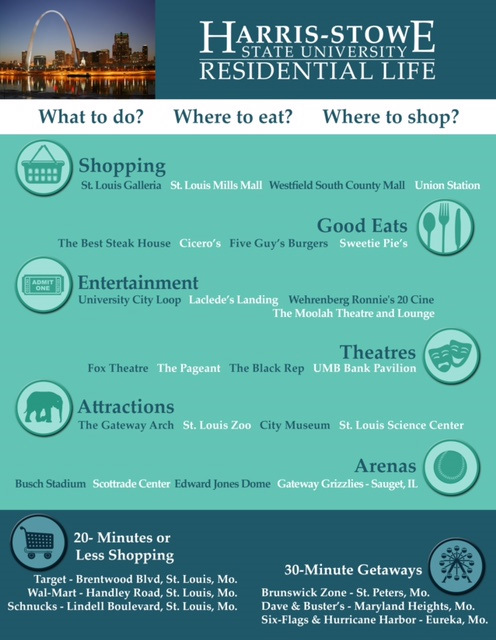 Residential Life students are required to purchase a meal plan. The University reserves the right to adjust meal plan options, hours of service, and location(s) of operation at its discretion. Special dietary requirements may result in additional charges to be paid by the student. The student meals are nontransferable; no refunds will be granted for meals missed due to conflicting class or work schedules. Temporary interruption of such service shall not constitute grounds for cancellation of the contract or a partial refund of board. 23. The student agrees not to loan out his/her entrance card or to have his/her room key copied. Students found with illegal keys or cards will be fined one hundred dollars ($100.00 U.S.), the costs of a lock change and are subject to removal from the dormitory. Students agree to practice responsible and cautious safety procedures. Students agree not to prop exterior entrance doors open, and any student caught doing so will be assessed an one hundred dollar ($100.00 U.S.) fine. Students will be assessed an one hundred dollar ($100.00 U.S.) fine, if room key and/or entrance card are loaned out to nonresidents. 24. Students who engage in dangerous behavior or disruptive behavior, including but not limited to excessive noise and interfering with another student’s ability to sleep, study, or live, will be subject to disciplinary actions including dismissal from the residence hall. In addition to other discipline, students may be required to remove stereos and other musical instruments or equipment that produces the disruptive noise. 26. The student must be registered as a full-time undergraduate student, as defined in the University catalog, to qualify for on-campus housing each semester. While residing in on-campus housing a student can not be enrolled in less than 8 credit hours. Should any clause or portion of this contract be held invalid, the other portions will be considered in force. 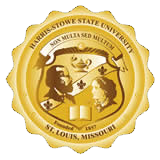 Harris-Stowe State University does not discriminate on the basis of race, color, gender, religion, age, gender orientation, national or ethnic origin, or disability in the administration of its educational, admission, and housing policies; scholarship and loan programs; and athletic or other school programs.